I made a card for Veckans Skiss this week. You can see the sketch here! This week it´s our guest-dt Kristin Aronsson who have designed the sketch! 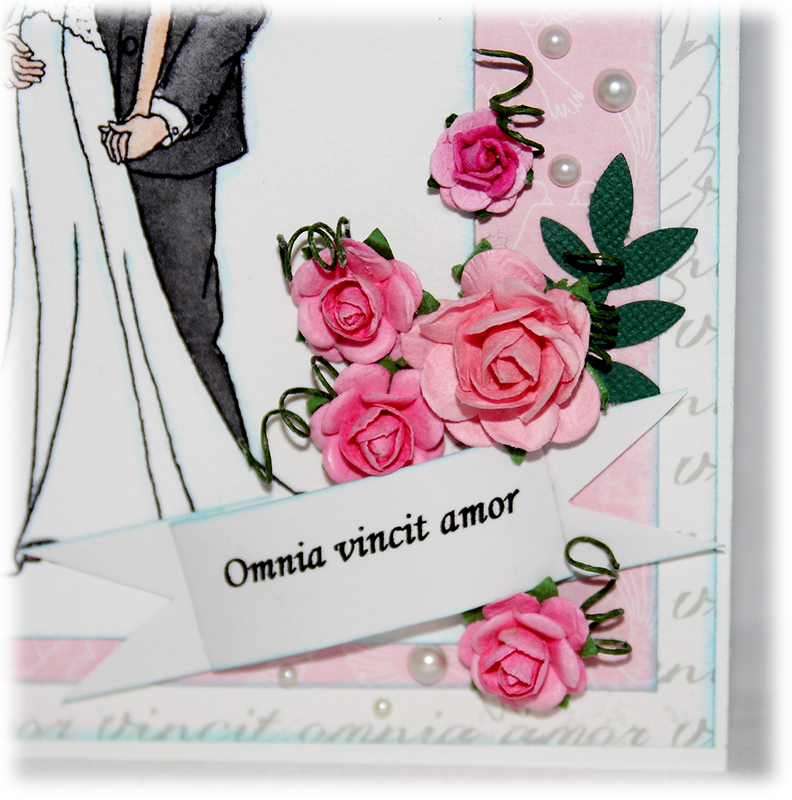 This week I made a traditional weddingcard because of I got a weddingcard order from a coworker. She wanted me to use pastellcolor so I choosed pink. Behind the motive I used a heartshaped doilie. The stamp comes from the Swedish company Phunnyface. Inside the card I added this beautiful words! I hope you will join us at Veckans Skiss this week. Deadline for the challenge is Monday 1th of July. You can see the rules here. This entry was posted in Kort and tagged heartshaped doilie, pastell, pearls, Phunnyface, pink, roses, sweet words, weddingcard. Bookmark the permalink.